Richmond | Doug Turner Plumbing CO. If all leaks that arose in your home had a warning system to match, the world would be a much easier place. Unfortunately, this isn’t our reality and a leak that goes undetected (even for a short amount of time) is a real detriment to your home. If you think you have a leak in your home, you might think that you can just reference online tutorials or articles online to determine if you have a leak but in actuality, you need a professional team. If you’re looking for a great plumber in Richmond, TX then come to the team at Doug Turner Plumbing CO. first. If you’re a homeowner that cares deeply about the quality of your home you probably clean your space regularly and stay on top of your HVAC maintenance. However, something that we often see neglected are drain cleaning services. Although they’re probably never at the top of your to-do list, your drain cleaning services are far from unimportant. You might think that you don’t need to have professional drain cleaning services in your home, but you absolutely do. Make sure that you always have a professional on your side. 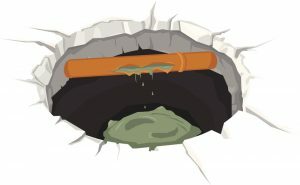 If you need drain cleaning in Richmond, TX, make sure that you contact our team. We’ve served the Southwest Houston and Fort Bend County since 1987. You’re aware of the basics of your plumbing system. 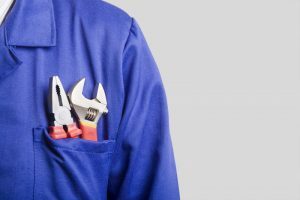 You know the major dos and don’ts of what to put down your drains and how to run your systems, but when something really goes haywire, would you know how to fix your plumbing? If the answer is no, that’s okay. We don’t expect the average homeowner to spend their free time traversing the internet for new and juicy plumbing info—that’s why we’re here. We’re the experts at everything plumbing. There are certain things that you likely do (often and unknowingly) that can really mess up your plumbing system. We’re here to put a stop to them today. If you need great service for your plumbing in Richmond, TX then be sure to contact our team. We’ve served Southwest Houston and Ft. Bend County since 1987. Is a Tankless Water Heater the Right Fit for You? When you envision a water heater in your mind’s eye, you’re probably thinking of a big, clunky barrel-like system taking up space in your home. Many homeowners don’t even know there are other options, but there are plenty of viable alternatives to the traditional tank water heater. If you’re on the market for a new water heater then a tankless heater can be a great system. Tankless water heaters are still a fairly new technology. If you’re thinking of installing a tankless water heater, make sure you’re getting the aid of a professional. If you need a reliable plumber in Richmond, TX contact our team. Posted in Water Heaters | Comments Off on Is a Tankless Water Heater the Right Fit for You? Do you suffer from frequently clogged pipes, stiff laundry, or dry hair and skin? You’re likely suffering from the effects of hard water. While hard water is completely harmless to your health it negatively impacts your plumbing system over time. 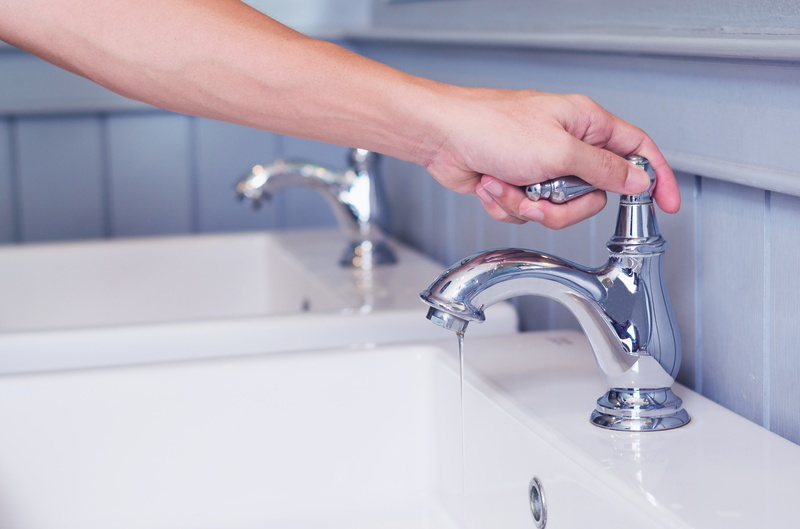 If you have hard water, you’ll benefit from plumbing in Richmond, TX. 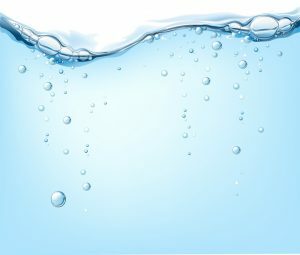 Our team at Doug Turner Plumbing CO can find a system like a water softener to treat the hard water in your home and offset the negative effects of this type of water. If you own a home, you probably know that it proves to be difficult keeping your pipes in good condition. You need to be diligent about what goes down your drain and if something goes awry trying to fix it yourself can prove to be impossible. Plumbing problems are also insidious. 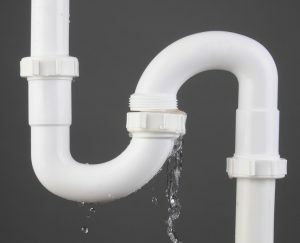 Your plumbing issues might not be noticeable right away and even if you notice the problem, it’s hard to alleviate these issues because most of your plumbing is within the walls of your home—out of reach and out of sight. 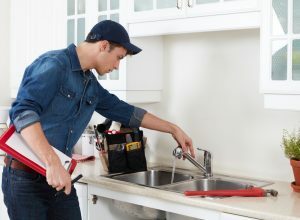 You’re going to need a professional to inspect your plumbing and our professionals here at Doug Turner Plumbing CO. provide the best drain services in Richmond, TX. 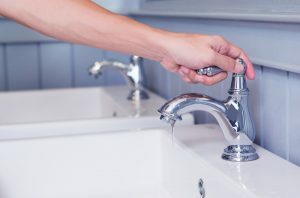 When there’s a clogged drain in your home, your natural inclination may be to run to the closest hardware store and buy a chemical cleaning solution. 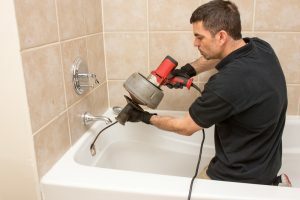 After all, these are marketed towards homeowners and renters who are looking for a quick and cheap way to clear up a slowed or stopped up drain—especially a bathroom drain that could be clogged up with hair and soap scum. Most plumbers would advise against using these liquid drain solutions though, and we are no exception. For thorough drain cleaning in Richmond, TX, you need much more than chemical drain cleaners. We’ll get into the problems with liquid drain solutions below, as well as some more viable options for drain cleaning. What Warrants an Emergency Plumbing Call? There aren’t many people out there who know precisely when they’re going to need plumbing repairs. In fact, nobody knows. Otherwise, there would be no need for 24-hour plumbing services in Richmond, TX. The reality is, sooner or later most homeowners find themselves caught off-guard by a plumbing problem. And it rarely, if ever, happens at a “convenient” time. When can a plumbing problem wait, though, and when does it constitute an emergency call outside of normal business hours? Keep reading for an answer to this, and to learn what you can do to prevent a plumbing problem from becoming an emergency. Posted in Plumbing | Comments Off on What Warrants an Emergency Plumbing Call? These days, most municipal water supplies have a hefty level of filtration and conditioning before they even reach your faucets. And, if you use ground water from a private well, you likely have your own water treatment system on site. But something many people don’t realize, even with water treatment, is that they may be suffering from hard water. This is the name for water with a high concentration of minerals in it—namely, calcium and magnesium. These minerals are harmless to ingest, however they can do a world of damage to your plumbing system, and lower your quality of life. Fortunately, hard water can be taken care of with a professional Richmond, TX water softener installation, to prevent hard water from getting the chance to put your pipes out of commission, make your drinking water taste funky, and ruin your laundry. But, how do you know if you have hard water? If you’re replacing an aging water heater, or having a water heater installed on your property for the first time, there are a few considerations to make. The first decision you’ll face is whether to go with a gas or electric model. 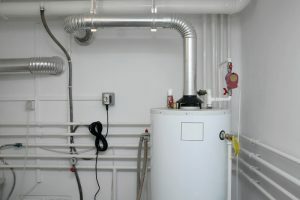 Since both are available for most water heater sizes, the decision most often comes down to what connections you have available, and what their costs would be. Once you’ve determined that, the question is—do you want a traditional tank style water heater, or a tankless water heater? Tankless water heaters have become increasingly popular over the years, and for good reason. But that doesn’t mean they’re the best choice for every home. A tank water heater may suit you more. Be sure to contact us for your Richmond, TX water heater services, whatever you end up deciding on.